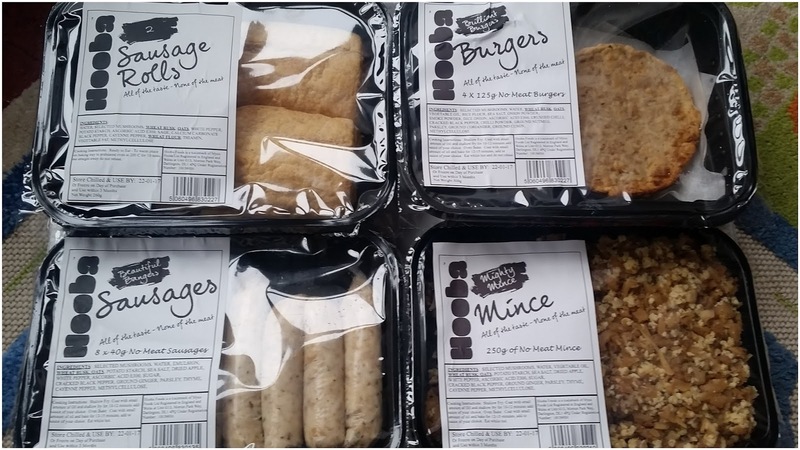 2017 for me is all about trying to eat better and feel a little healthier so this week I went Meat Free with the help of Hooba Foods. Hooba Foods believe that eating too much processed meat isn’t very good for us so it’s a good idea to cut-down on the amount you eat. Hooba Foods make it so easy for you to cut out a little or cut-out the lot. Hooba Foods use protein-rich mushrooms to reduce or replace the meat we eat. I'm not a fan of mushrooms but I was determined to give them a try so when our delivery arrived, I have to admit, I was a little nervous. I never eat mushrooms, they're normally the item on my plate that gets left behind. Our delivery included: Hooba No Meat Burgers, No Meat Sausages, No Meat Sausage Rolls and No Meat Mince. All of them contain the main ingredient: Selected Mushrooms. They have lots of other seasonings in them to give them flavours other than just mushroom. 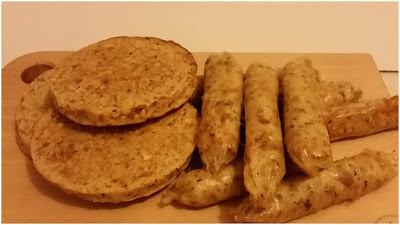 Tonight we cooked the No Meat Sausages and Burgers for our Tea. They're easy to cook as they only take 15 minutes in the oven. You can shallow fry them but we did ours in the oven. First off, they look great. They're a nice size, good shape and lovely colour. 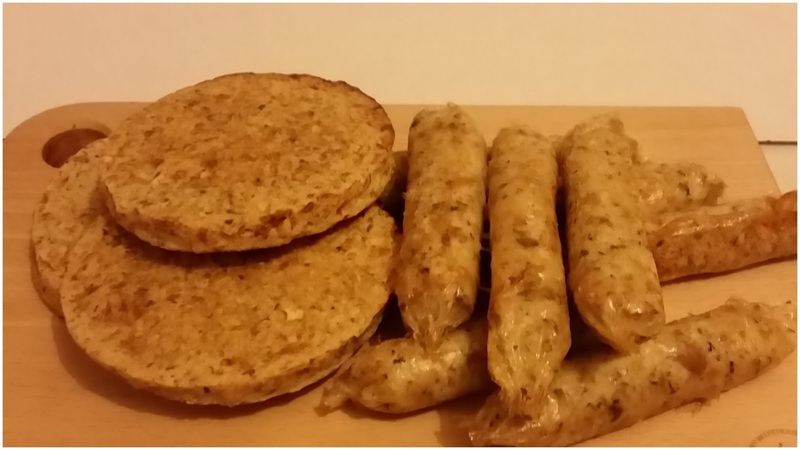 They don't look much different than our normal meaty sausages or burgers. Unfortunately for me, all I could taste was mushroom. I was hoping that some of the other flavours may have disguised them but sadly I was out of luck. The mushroom flavour is very strong which for me was a bad thing but for mushroom lovers, that's a great thing as not only will you get the goodness but you'll love the taste too. I am happy to try anything once but once was enough for me on this occasion. Daddy does eat mushroom so I got him to try them too, he was happy enough to eat them saying they were a little plain on their own but tasted much better with sauce. Chloe, my 14 year old, took a few bites and thought they were OK texture wise but again she's not a mushroom fan so wouldn't choose to eat more than a bite or two. My youngest two wouldn't even try them after they heard that they were made from mushrooms. I should have kept it quiet until after they had tried them but, oops, it was too late by that point. I've not tried the No Meat Mince yet but I'm planning on turning it into a mince dinner for Daddy tomorrow. I'm sure it will taste great with served on a mountain of fluffy mash with a smothering of gravy. I think I might give it a miss but that's only because I really don't like mushrooms, again, I really don't think I'd thought this all through properly, did I? Hooba Foods are a good quality meat free alternative perfect for all the mushroom lovers out there but if you're like me and don't like mushrooms then maybe these are not for you. On the other hand, if you're like me and will try anything once, fell free to give them a try and see what you think for yourself. Who knows, you might like them. 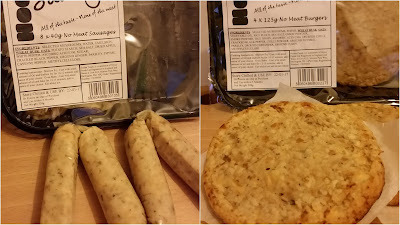 Disclosure: We received our Hooba Meat Free samples in return for an honest review.